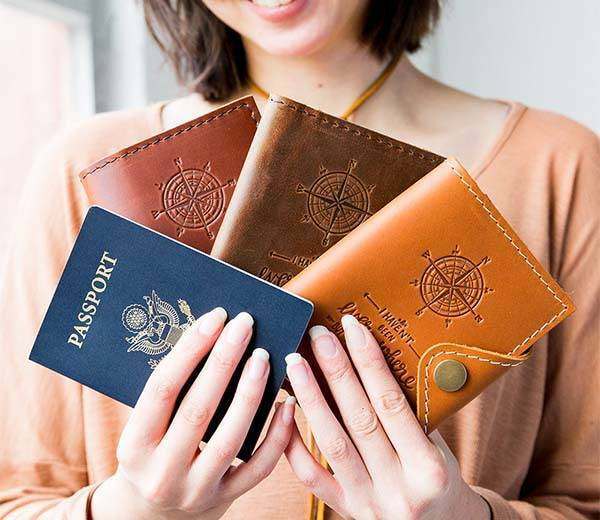 The handmade leather personalized passport cover is designed to hold your passport and cards for easy access during your trip, and it’s customizable for a personalized design. Like the idea? Let’s keep checking. This is a well-crafted and stylish leather passport wallet that measures 10.25 x 5.5 inches. As we can see from the images, the cover shows off a gorgeous, classic appearance design along with three optional colors. Meanwhile, it’s 100% handmade from full grain leather for durability and premium feel, and the meticulous stitching not only provides enhanced construction and extra detailing. 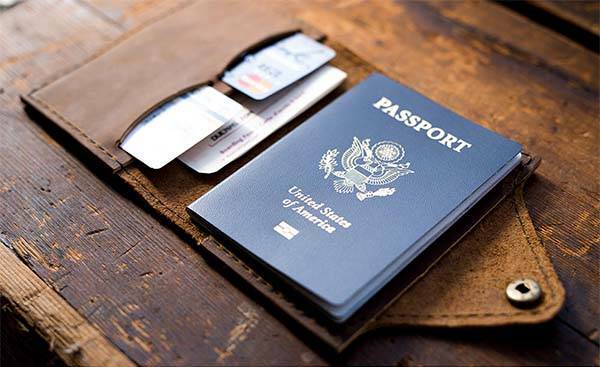 In addition to protecting your passport, the bifold passport cover also features two cards slots and one pocket that can hold up to 8 credit cards, some bills and notes. Moreover, the metallic snap fastener keeps it closed when you’re on the move. The leather wallet is customizable by stamping your name or initials on the front. The personalized leather passport cover is on sale for $28 USD ($22 for the model without a snap, extra $10 for adding your name). If you’re interested, jump to Etsy for its more details.